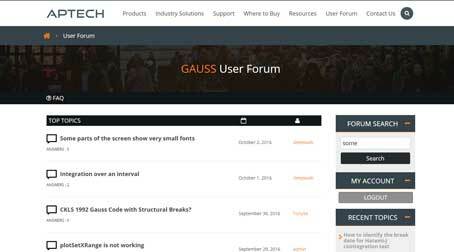 BlogWhy the GLS-unit root test with multiple structural breaks? The housing market has been on a roller coaster ride since the early 2000s. We have seen the rise and fall of one bubble and it is feared by some that we may be witnessing a second bubble today. If we want to study housing prices, an important first step is to check and see if the data is trend stationary. This is because many estimation and forecasting methods are not valid if the mean and variance are not constant across time. Today we will answer that question for two housing markets, Washington and Arizona, using the Carrion-i-Silvestre, Kim, and Perron (2009) GLS-unit root tests with multiple structural breaks. 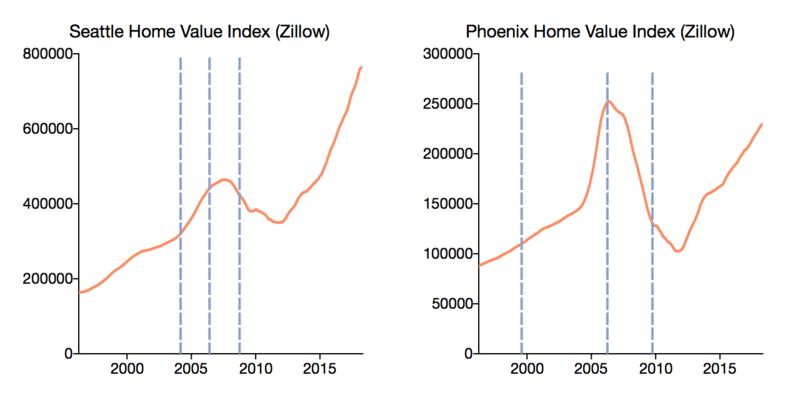 The historic Zillow Home Value Index in Phoenix and Seattle (Zillow Market Summary can be found in Table 1). 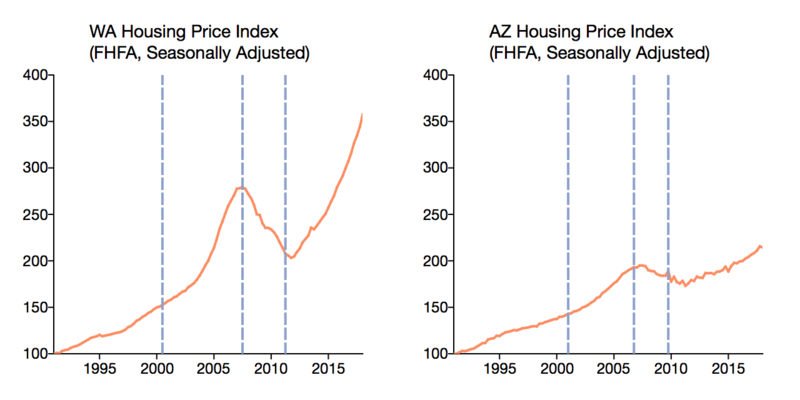 The Federal Housing Finance Agency's House Price Index Dataset in Arizona and Washington. It allows for multiple breaks under both the null and alternative hypothesis which results in a unit root test that is not sensitive to the size of structural breaks (Carrion-i-Silvestre, Kim, and Perron, 2009). Unlike other tests, the GLS-MSBUR test allows for multiple structural breaks. This is particularly applicable in the case of housing price markets which have had multiple potential structural breaks. The GLS-MSBUR test implements GLS detrending which has been shown to improve the power of unit root test. We ran a standard ADF unit root test and the GLS-MSBUR tests on our housing data. The results are in Table 2, below. For all cases without structural breaks, the test statistic exceeds the 5% critical values. This implies that we are unable to reject the null hypothesis of unit roots in any of our data. However, when accounting for structural breaks in both the level and slope of the time trend, our ADF unit root tests now show that we can reject the null hypothesis of unit roots in all cases. Knowing this paves the way for us to more accurately model housing price dynamics. Based on our unit root test results, our model of housing prices should incorporate structural breaks. The GLS-MSBUR test conveniently estimates the timing of the breakpoints in our housing series. We consider the case of three breaks points for each of the series. The estimated breaks are imposed on the original data series in the graph below and summarized in Table 3. Properly distinguishing structural breaks from unit roots is crucial to valid estimation and forecasting. Home prices provide an excellent case study of the importance of identifying structural breaks when testing for unit roots. We have shown that the standard ADF unit root tests fails to reject the unit root for home price measures across a number of markets. However, when we allow for the presence of unit roots we are able to unanimously reject the null hypothesis of unit roots.